The Regional, Rural and Remote Communications Coalition (RRRCC) has welcomed a recent announcement from the Minister for Regional Services, Senator Bridget McKenzie which will see regional Australians benefit from 180 new mobile base stations as part of Round 4 of the Mobile Black Spot Program. For Australians living in rural, regional and remote communities, having access to reliable communications is vital. The Mobile Black Spot Program has been instrumental in making real change to these communities, with more than 1,000 mobile base stations designated to be built, expanding mobile coverage across the regions. Australian Communications Consumer Action Network (ACCAN) CEO Teresa Corbin said since forming in 2016, the RRRCC had championed the need for greater mobile reliability outside of cities and suburbs. "Our members have stressed to us the daily importance of being able access a reliable mobile service wherever they are in the country. "We are pleased to see that Senator McKenzie has continued to support our push for greater mobile connectivity in regional, rural and remote Australia in the latest round of the Mobile Black Spots Program." As part of the Government’s $25 million funding for Round 4 of the Mobile Black Spot Program, Minister McKenzie also unveiled the NSW locations that would benefit from the program. 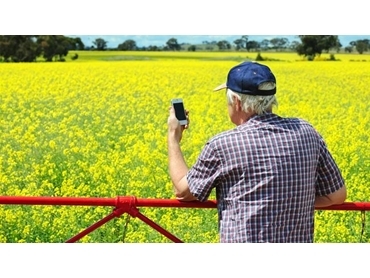 NSW Farmers President James Jackson strongly welcomed today's announcement and said that no matter where you live in 2019, everyone should have mobile coverage. "NSW Farmers has advocated since 2015 for many of the 54 locations for our farmers and regional communities in NSW. "This new mobile coverage will bring unheralded economic and social opportunities to the agricultural sector as well as ensure safety for all in the community."